Not gonna lie, part of me wishes it was the movie "The Ringer", but that's mostly because the year that movie came out my family was obsessed with telling each other our name was Jimmy and we could count to potato. My initial reaction to Ringer was that I didn't realize how much I missed Sarah Michelle Gellar. Growing up on Buffy the Vampire Slayer, SMG was like a BFF when I was a teen. I was happy to have her and her wonderful facial expressions back on my TV. Then, I saw the boat scene. but then I remembered that we're dealing with CW budgets and this is a pilot so I let it slide. The story line of Ringer is more compelling than it let on. Originally, it sounded identical to the ABC Family show The Lying Game which also happens to be about twins switching lives. And sure, it's still pretty similar. The thing I didn't expect is how drawn in I was. 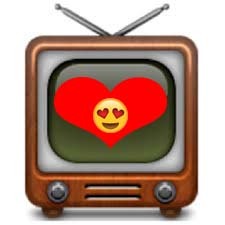 I'm a multi-tasker when it comes to TV, but I couldn't keep my eyes off the screen because of the interest I had in the storyline. It's still way too early to tell, but for a pilot that was supposed to be rather weak, I hope that Ringer continues it's path of a mystery with a compelling plot. Also, I hope they stop doing that stuff with the mirror. Where each twin looks at the mirror like they are seducing/talking/channeling their twin. It would be ok if it were a second, but the lingering is just a little creepy in a lame way. Looks like the CW is really luring me in this season - for the first time in history I will be viewing two shows on their line-up. Ringer AND America's Next Top Model All Stars! Am I there? Heck yeah I am. Is it possibly because I performed in LA in front of Britney and Lisa? But mostly because I can't wait to see Tyra act like these girls missed their chance at supermodeldom.